LANSING– A pair of UP politicians have introduced bills in their respective chambers to limit workloads for nurses, and help make hospitals safer. 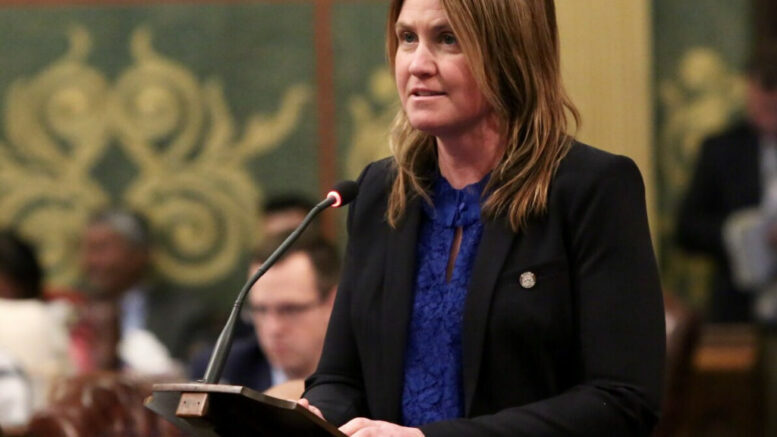 State Rep. Sara Cambensy and State Senator Ed McBroom introduced each introduced bills in their respective chambers as part of the Safe Patient Care Act. The package of bills is designed to help ensure that patients are getting the best possible treatment they can get by limiting how many hours a nurse can work and how many patients they can help at a time. Cambensy’s bill that she introduced will prevent excessive forced overtime for RN’s, and require that they get at least 8 hours of rest after working any 12–hour shift, a change Cambensy says is common sense. “All of us have loved ones, whether it’s parents or friends, in a hospital at any given moment, and knowing that we have restrictions airline pilots for how many hours they can fly at a time, as well as our haulers and truckers have mandated limits for how many hours they can drive at a time, why don’t we have that for nurses? So if we don’t have those standards what does that mean, and how safe are our loved ones?” says Cambensy. McBroom’s bill he introduced in the senate will set evidence–based limits on patient assignments, so no individual nurse is assigned to too many patients at once, something he said he’s seen personally. This is the second time these bills were introduced into the legislature, and ABC 10 will follow these bills as they go through the legislative process. Videoconference for MI Senate meeting coming to U.P.